Staying at the Empress, you live in a unique place, steeped in history, a true component of the cultural life of Martinique and Heritage Foyalais. 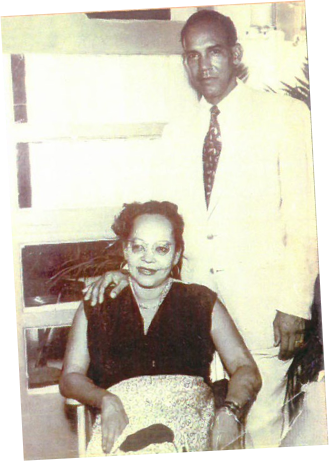 In the company of his wife Fernande, Charles Glaudon is on a cruise, when, aware of the lack of hotels in Martinique, begins to germinate in him the idea of ​​a revolutionary construction for the time. We are in the 50s, and to stay in Martinique, travelers have only very few places to stay. 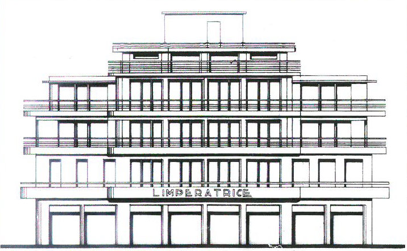 When returning from the cruise, the decision is made, it will be a hotel, next to its existing pharmacy. He takes the boat again, the same evening for France, to inquire about the stages and contingencies related to a construction. His passion for concrete led him to sketch with his brother Pierre a preliminary draft. The plans of the Empress will be signed by Marcel Cidalise-Montaise, a young architect who finalized the calculations and the work done by Mr. Lagrancourt, building contractor, uncle of Mr. Glaudon. 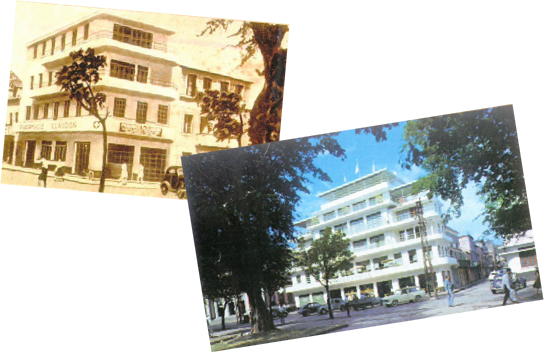 The hotel was built in 1955 and inaugurated in February 1956. The name of the Empress is chosen to seduce the metropolitan and American clientele that combines Martinique in the name of the Empress Josephine. Since 1956, The Empress has remained a family hotel, managed from mother to daughter by the Glaudon family. Depuis 1956, L’Impératrice est resté un hôtel de famille, géré de mère en fille par la famille Glaudon. The Empress is located opposite the park of “La Savane” of Fort-de-France, the main square of the city. The building is one of the variants of modernism, style “liner”. It is a “seaside” modernism, such as found in Florida and Brazil. It has five floors, with progressive gradients that give a dynamic very attractive. The horizontal planes are underlined by balconies that run on three sides and structure the facade with vigor and elegance. The balconies are equipped with tubular railings copies of railings. The fourth floor had two large open lateral terraces – which were later covered – with a pool, connected by a walkway. The floors are decorated with carefully executed colorful mosaics. Each floor has its own color identifiable by the tiled hallway reproduced in the rooms and balconies. The Empress already offered all the modern comforts: a very elaborate natural ventilation system made it possible to circulate the air throughout the building, the first elevator of the island was installed there and all the rooms, even the small ones benefited from their bathroom. 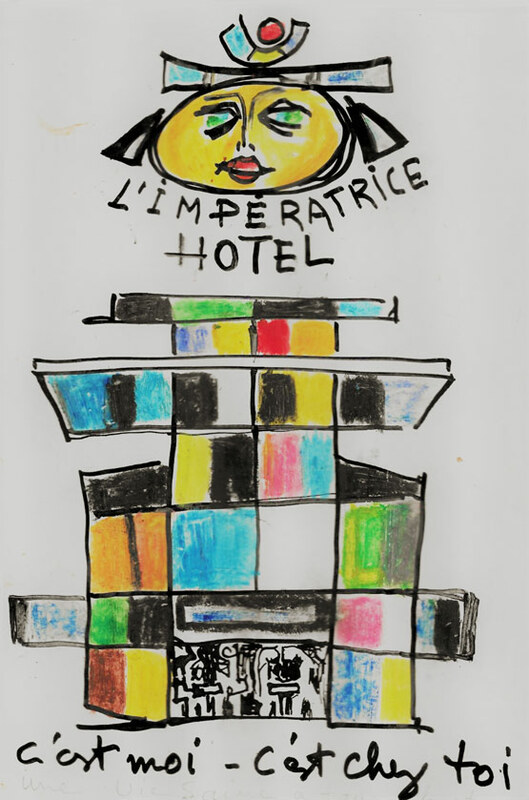 The Empress in addition to the hotel business has become over decades an essential place of cultural life Foyalaise. Artists, politicians, writers … there are many who have followed one another with more or less diligence. In this tradition of welcoming artists, many cultural events are regularly organized. Art exhibitions, conferences, concerts, historic banquets … There is always something going on. Par la richesse de son histoire, L’Impératrice est aujourd’hui considéré par beaucoup comme un élément à part entière du patrimoine de Fort-de-France et de Martinique.